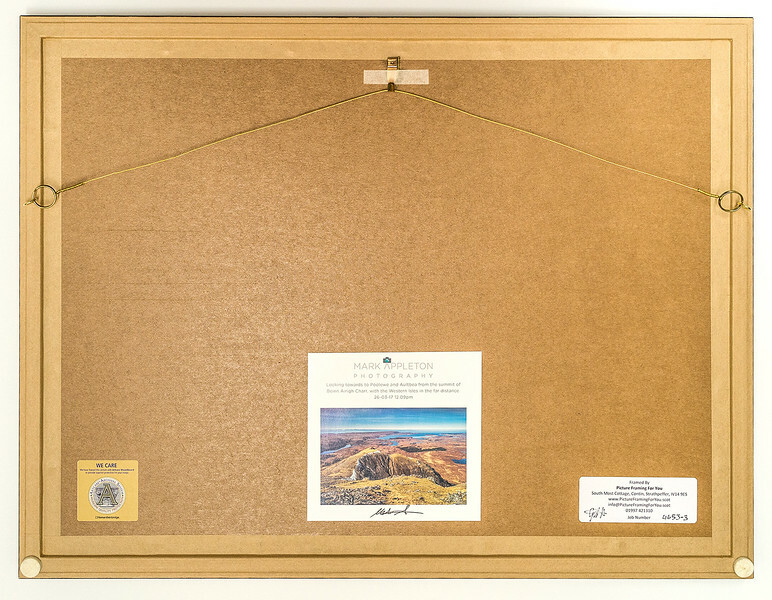 A finished picture frame back showing the hanging attachments, frame bumpers and various labels which are supplied as standard by Picture Framing for You. Note that in this example an artist's label is shown at the centre. This only is added if a label for the artwork is provided by the artist.